Lilliputian Valletta (a home to around 10 000 people) is a wonderful city that among experienced travellers is rightly considered one of the most interesting and abundantly rich in sites to see and explore as it is almost 500 years old. Truly, holidaymakers are more willing to pay homage to warm beaches and resorts of the country. Well, okay, it is a matter of taste. In spite of being tiny, the capital has seen a lot. 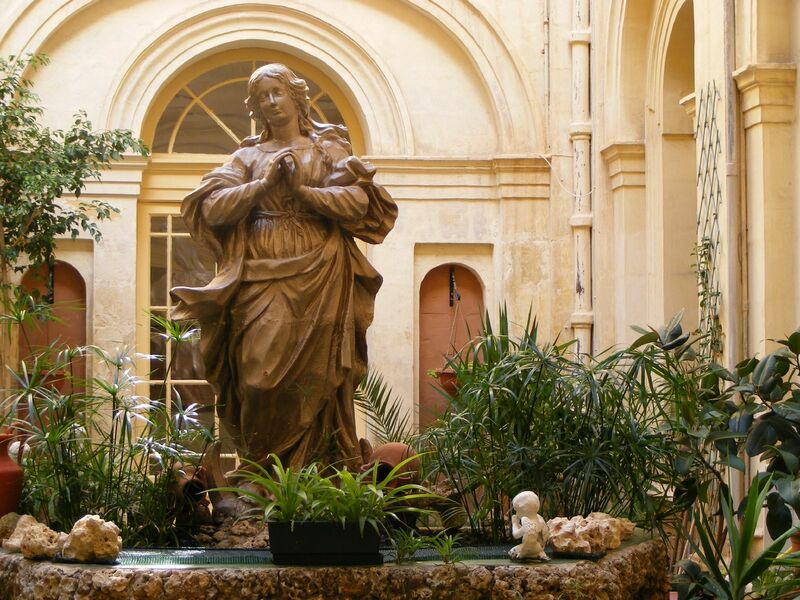 The fact is that historically almost all Malta became a sort of "lounge area" for medieval knights. Tired and exhausted by the Crusades, wars with the Turks, and intra European showdowns, they used to sail here in the hope to have rest, improve their health and gain strength before future battles. Thanks to generous donations from the Christian world, in just a few decades the Italian architect Francesco Laparelli built all that beauty, combining Mediterranean architectural elegance with British gloom and austerity. 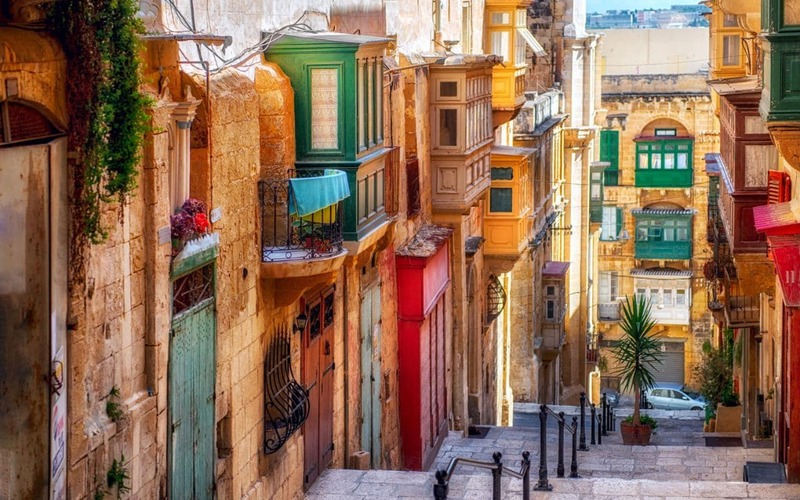 Valletta, by the way, became the first city in the world that was built not on the usual tradition "there is a river, hills and forests on the edges - we will build," but according to a predetermined plan. 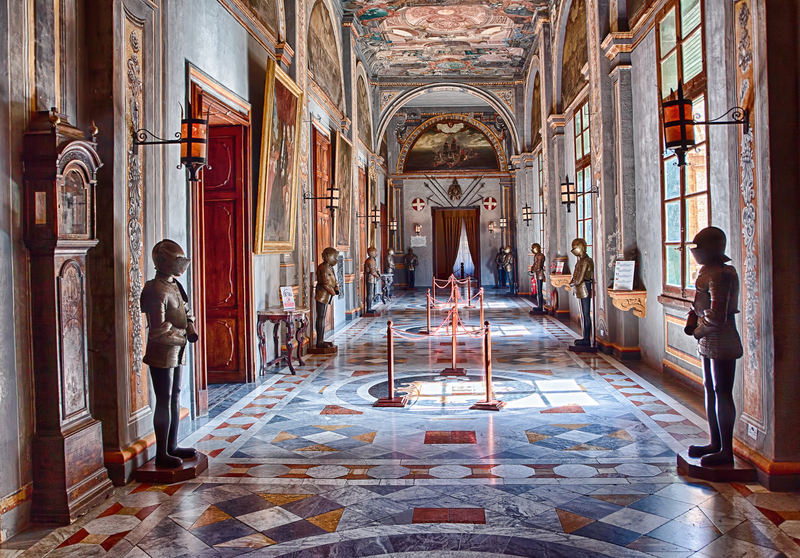 Among the main attractions (and, as you remember, they are countless there) one should definitely visit the Grandmaster's Palace, the St John's Co-Cathedral, the Sacra Infermeria, the Manoel Theatre and, of course, take a stroll along the Fort Saint Elmo. However, first things first, and the main task is not to get confused, because the adjective "saint" is present almost in every title. Although the local residents will show you the right way, the Maltese are very knowledgeable and everyone seems to speak English. Most of the cathedral was created by artist with a tragic fate, Mattia Preti, after he had completed his job, the knights put him in jail for reasons unknown. So far little is known about this story. The place is the most important shrine since the great masters were buried inside the votive cathedral; its chapels are divided along ethnic lines: German, French, English - a total of eight. Floor is a solid tombstone with important inscriptions and memorable texts. Both dark and majestic. Coming out to the open air, off we go to the direction of the Manoel Theatre, one of the oldest in Europe. In the central part of the city it is great to travel on foot since all attractions are close. 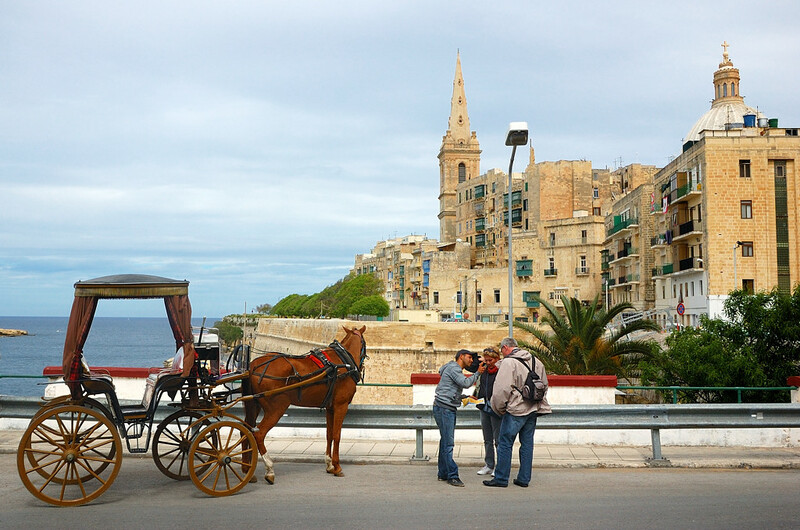 The above mentioned buses and taxis are needed to get around the agglomeration of Grand Valletta. The theatre is worth a visit since during the Second World War it was destroyed completely, and only twenty years later, thanks to the painstaking work, it appeared in the form it existed in the early 18th century, when representatives of the knight orders had a cultural rest there. By the way, world known are its extraordinary acoustic properties, but it has no words to convey – let your ears help you. The Sacra Infermeria, or the "Holy Infirmery" is a state-of-the-art hospital which in its history changed many roles: it was known for a non-discriminatory criteria for admission, thus noble soldiers injured in battle, and the local poor people, and even captured slaves were all treated at the hospital. It also served as stables for horses, and now it is used as a media centre to study Malta history. Eventually the concept of hospital remained just in name. Although its territory features the longest ward in the world, the imposing Great Ward is 161 meters long, so if you have a bicycle, you can take it with you and have a ride. 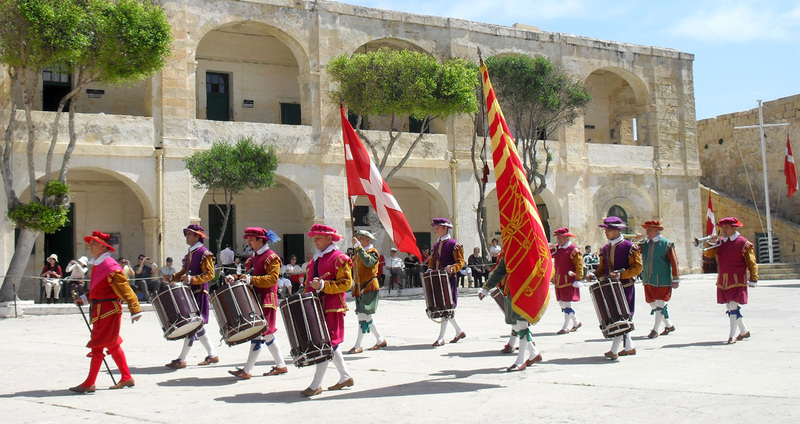 Finally, although in the case of Valletta this can be only warm-up, we complete our odyssey in the Fort Saint Elmo. It looks majestic from the sky with its frightening pointed fortification. Although it did not scare away the Turks who repeatedly besieging it. However, the knights always had enough patience to rebuild the fortress and strengthened it time and again. 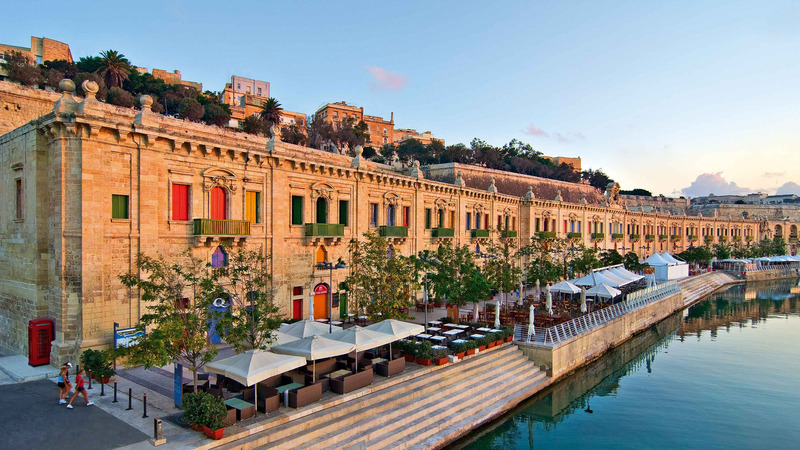 The interesting the Malta War Museum operates there, it houses such rare exhibits as the first gas masks, uniforms of different armies from 18-20 centuries, and the famous cross of King George, presented to Malta in 1942. Malta supports left hand car traffic, which can be unusual. The country's only international airport is five kilometres from the capital in the town of Luqa. Local cuisine resembles southern Italian with all the wealth of pasta, pizza and seafood, but signature dish is rabbit in red wine (Fenek). And the most popular soft drink is Kinney, local lemonade. Highly appreciated is a dish called Pastizzi, a pastry snacks made of dough which is very nutritious, so when the Maltese order it they recall a saying "moment on the lips, a lifetime on the hips." The city is incredibly cinematic, its streets used to be scenery for hits such as Troy, Gladiator, Midnight Express and others. If you like having rest in Bulgaria but haven’t picked a town to stay in, try and do it in Balchik. It will suit those who value cozy yet non-costly trips without a flow of holiday-makers and an empty pocket afterwards. And the town’s ancient age together with unique landmarks will create a great alternative to sun and sea bathes. The week passed in a desperate anticipation of vacations. I’ve been enthusiastically terrorizing GoogleMaps zooming in and out the precious dot of terrain against the background of deep blue ocean turn and turn about. At a reduced scale I saw open jaws of the Hollywood Alien, impudently teased by a midge at its very nostrils. Scroll of the mouse wheel used to turn it into 16 mountainous islands that ancient Ptolemy populated with ever-cheered-up Satyrs. Jamaicans like rum, marihuana (hardly anybody seems to be bothered by the fact that it isn’t officially legal there), Bob Marley and… attending churches. They also wouldn’t mind winning several Olympic medals as well as competing for a crown of a beauty queen. Today we get acquainted with peculiarities of both serious and funny Jamaica. Kyrgyzstan is called Middle Asian Switzerland. Mountains, rivers, waterfalls, caves, cols and green meadows aren’t a speck inferior in terms of aesthetics to European ones yet travelers haven't duly appreciated this country so far. Across-the-board exploration of the land by the state’s guests has only just begun. And alongside hotels that are being swiftly erected, ordinary yurts are still offered for residence to feel local natural.